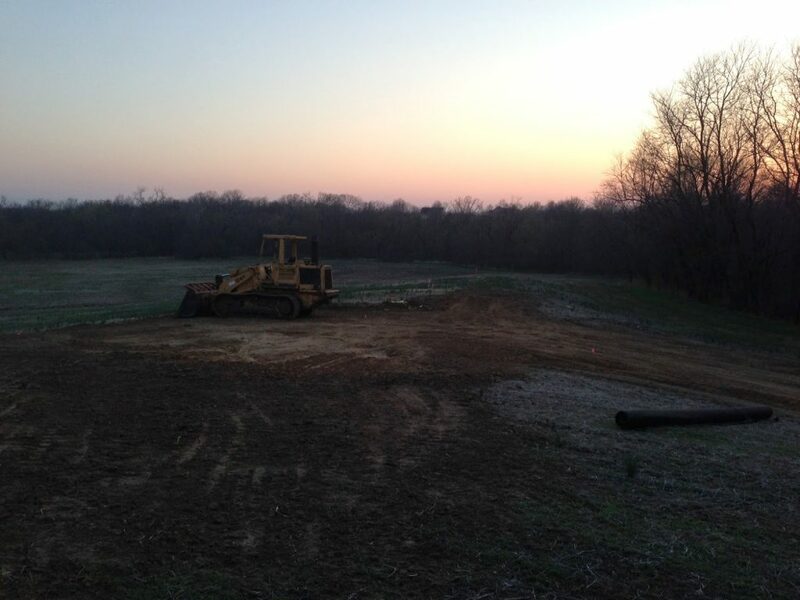 Home » Building Beyeler Hollow » Building Beyeler Hollow: Groundbreaking!! Moving right along in our self-build story, we’re up to an exciting part – putting a hole in the ground! So obviously this picture below is a complete fake-out, cause there’s no way we’d dig a foundation by hand! We put TONS of thought into the placement of our home – Trevor read up a bunch on solar mass and indirect heat, yadda yadda. Basically which way is optimal for your house to face to get the warm of the sun during the right seasons, etc. 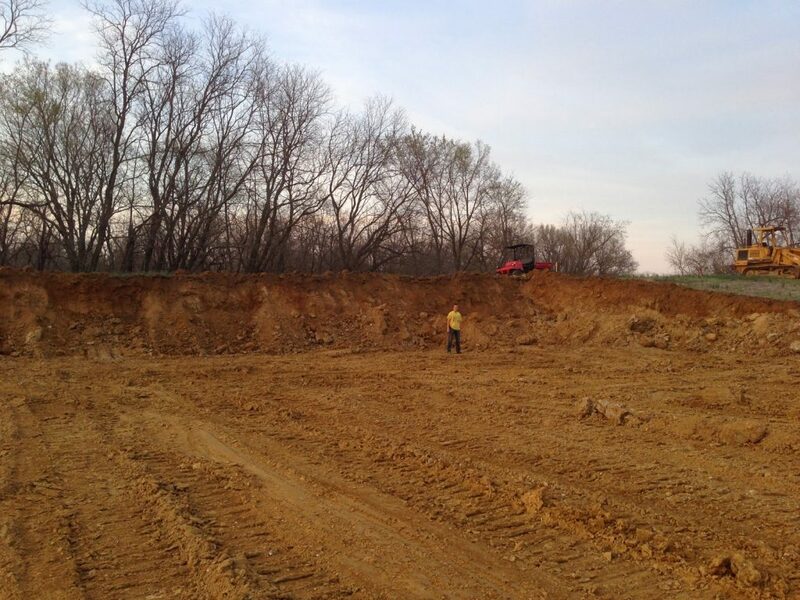 We staked out our house several times and consulted with the excavation guy to get it just right. You can read about detailed specifics over on Building Beyeler Hollow (like HERE, HERE, HERE, HERE, and HERE – yep, that’s a lot of blog posts about digging a hole in the ground!). It took way longer than we thought from the excavation to the foundation pour, due to rain and various other factors. 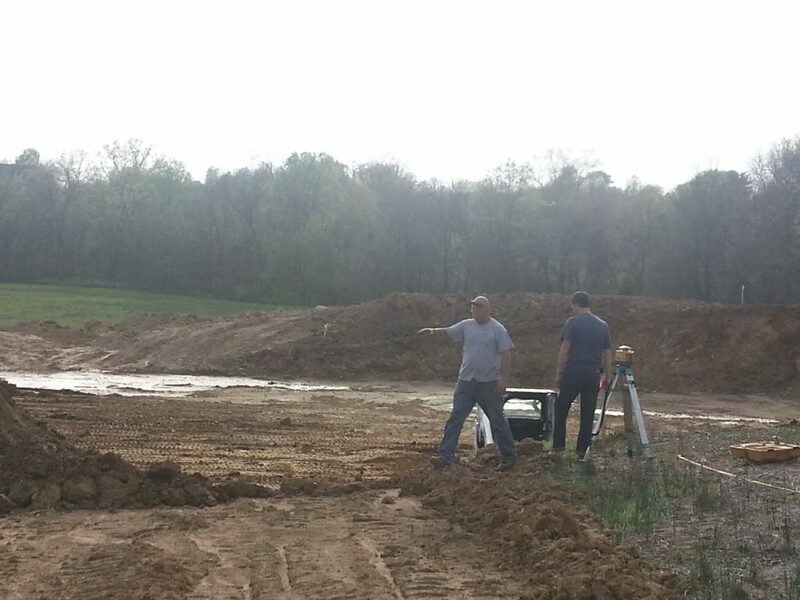 It was a little frustration to already be behind on the building schedule when we hadn’t even started building yet! But that’s how things go in building. 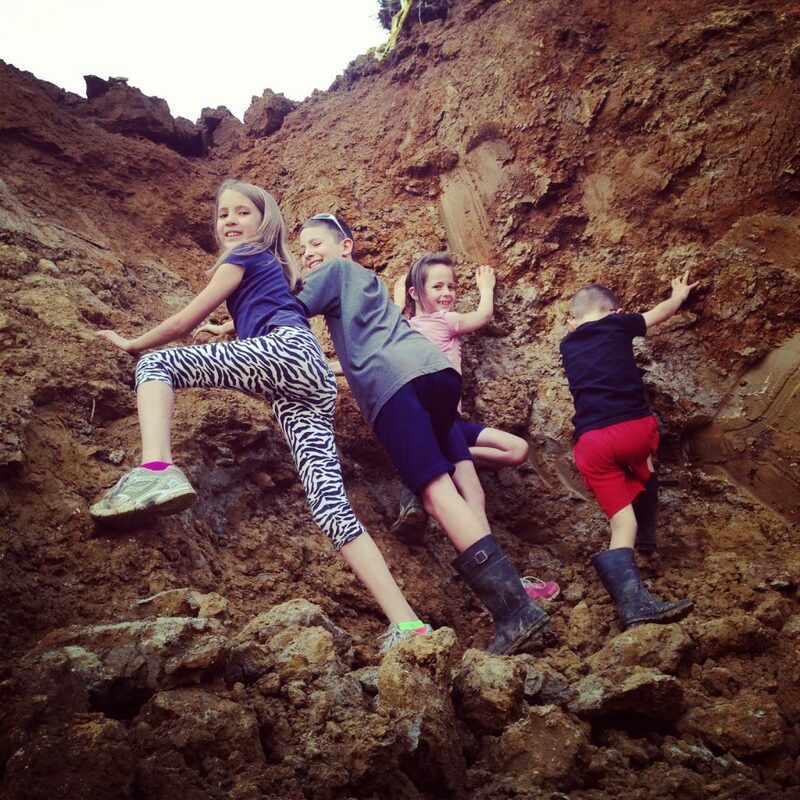 They dug a pretty substantial hole – – and then they would come back and dig it even deeper. They used a laser level thing and a stick in the ground to be able to get to the exact depth they needed. 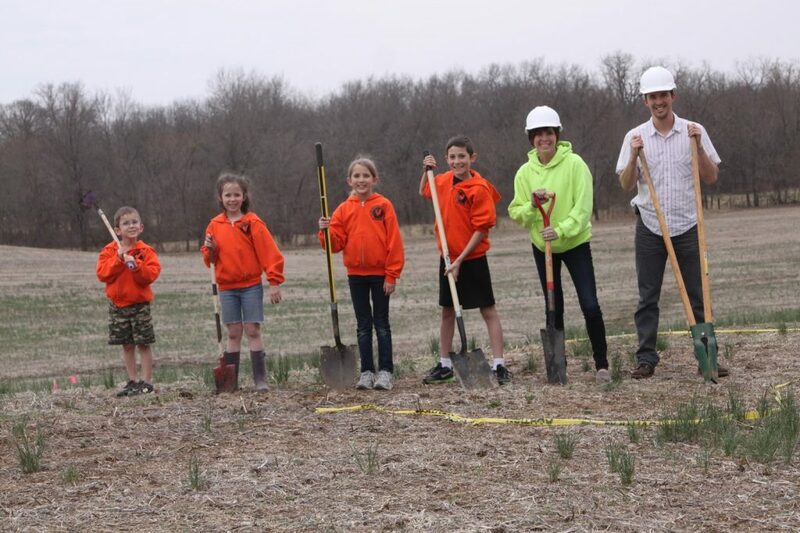 The kids loved being out there and seeing the big diggers on our land and the progress they were making. And climbing up and down the dirt and mud, of course! The panoramic camera makes the hole look way huge! All the dirt from the hole was pushed out and flattened into a nice level land piece that our back basement door will open onto. I have dreams of it being a perfect spot for a pool, someday! Thanks for following along in our adventure – next up I’ll let you in on all our foundation details! Eeeeep this gets me so excited. We are starting this process in the next week and I’m so ready. I’ve loved following your journey.